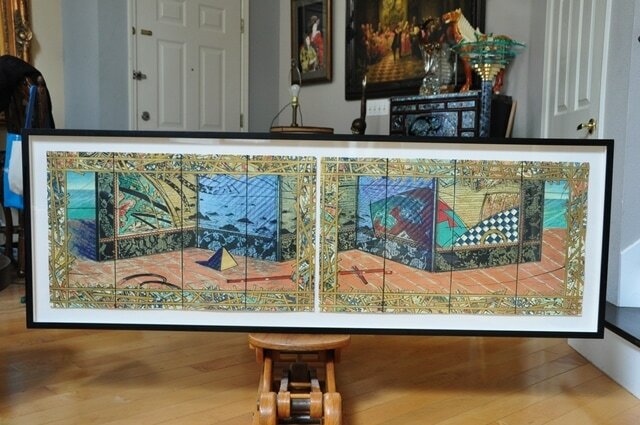 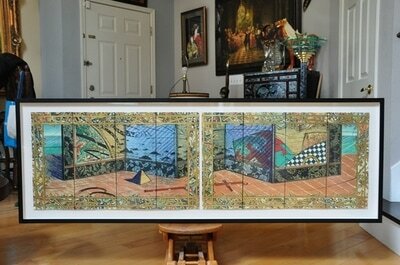 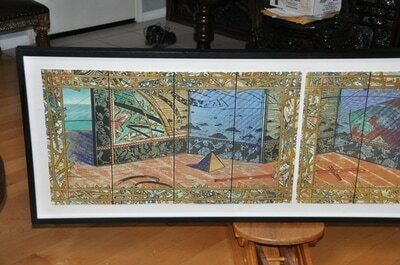 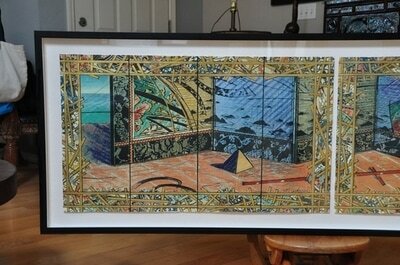 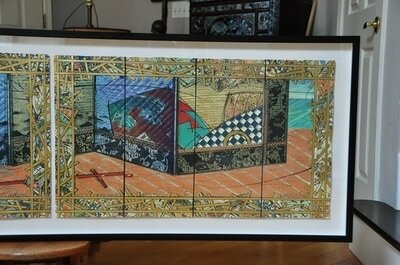 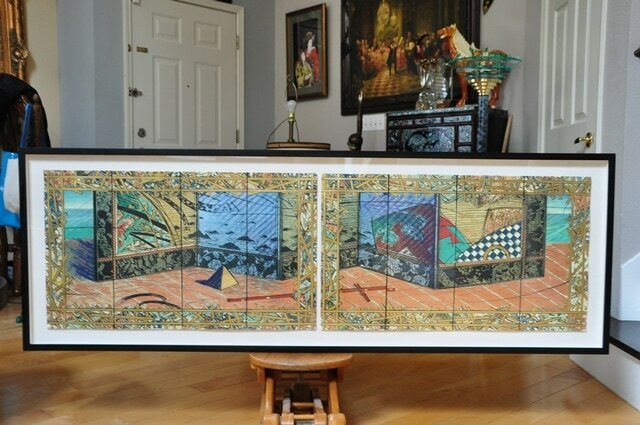 This is a pair of limited edition 1991 serigraphs by William (Bill) Gatewood (American, 1941-1994). 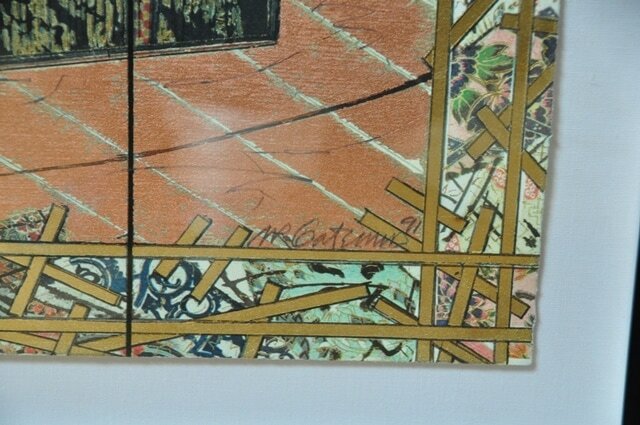 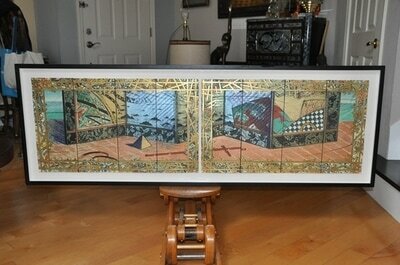 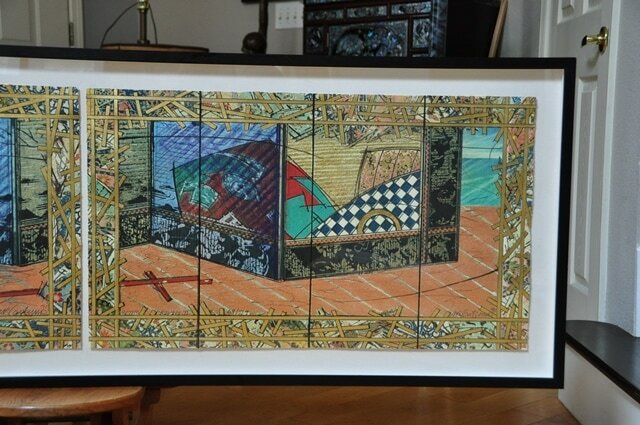 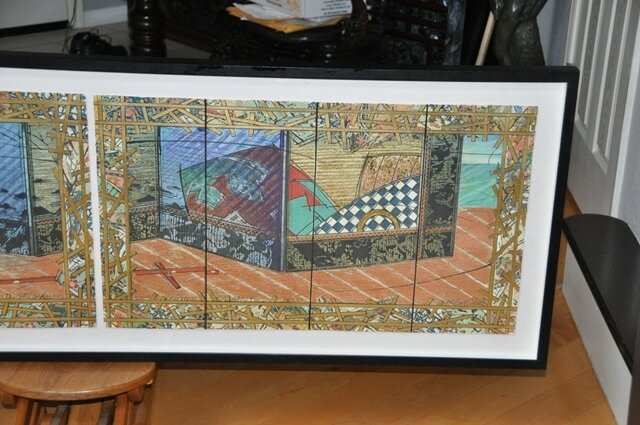 The two mixed media serigraphs with gold leaf are framed in a single wooden frame and are titled In the North I & II. 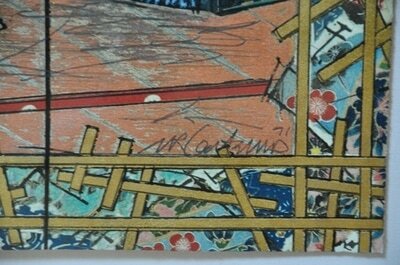 They are each numbered 69/79 and signed in pencil. 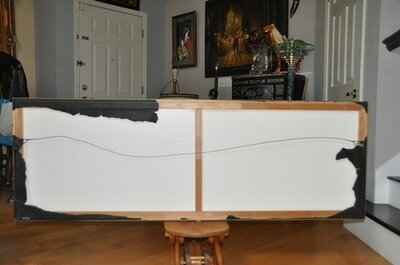 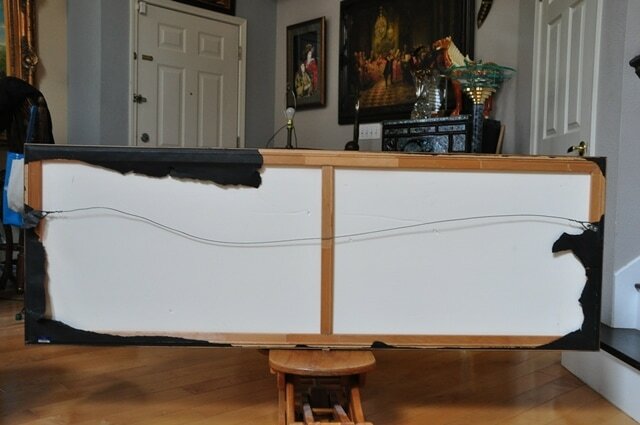 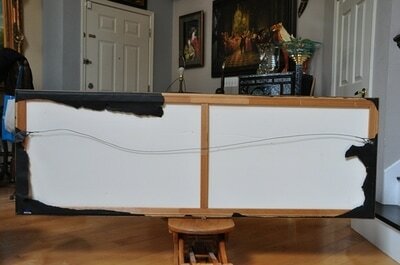 The black wooden frame is 65"x22.5" in size. 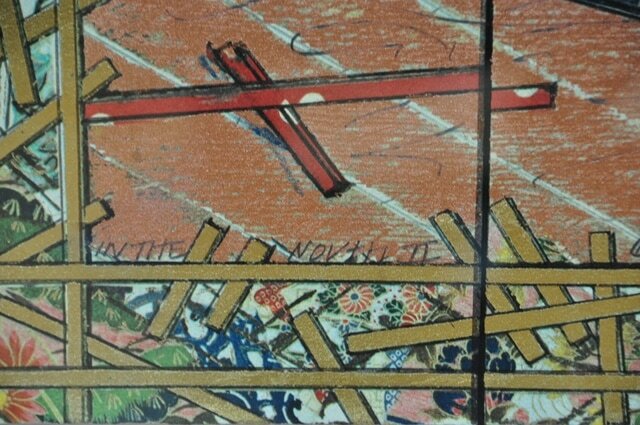 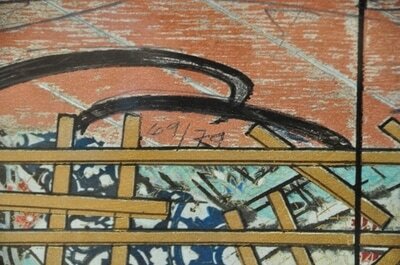 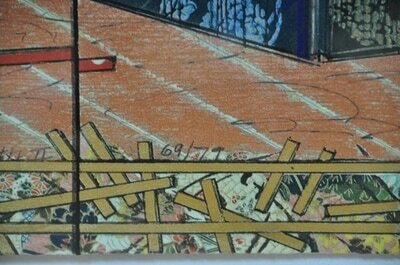 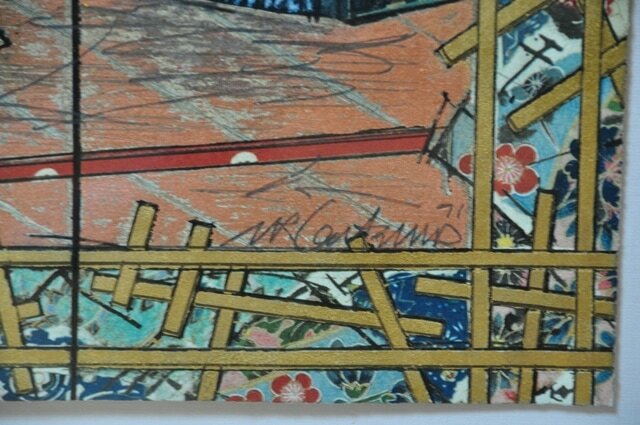 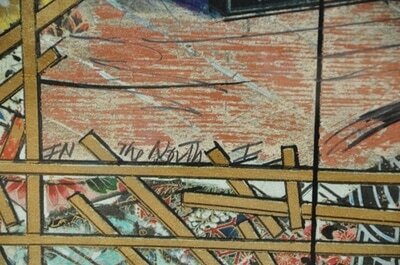 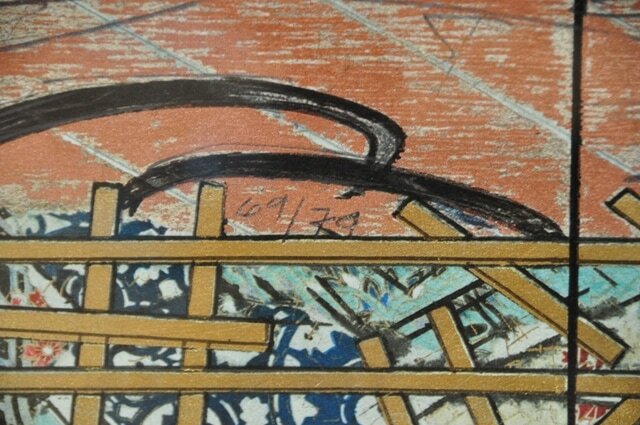 Gatewood's works seem to have been influenced by Japanese art. 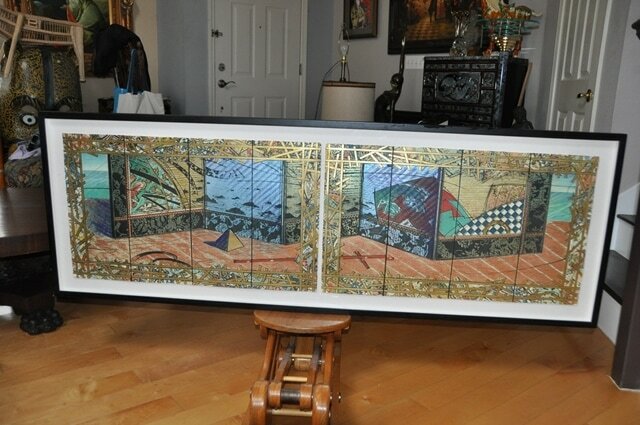 This particular work depicts some screens, but they also look abstract in nature.